Ford built 300? Cobra Rs for the year 2000, for sale to the general public. 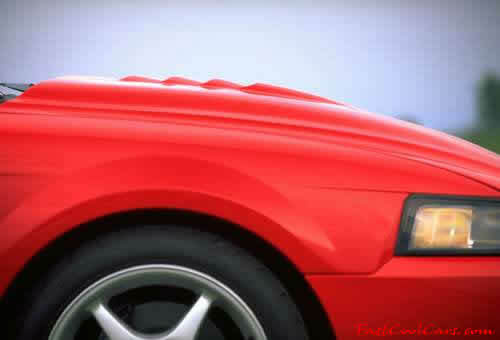 But most ended up in race car drivers hands and Ford asked us to make the same hood used on all the Cobra Rs to use in their Ford Racing catalog. You too can now get the 2000 Cobra R hood for your 1999-2004 Mustang from H.O. Fibertrends. Only 24 lbs. 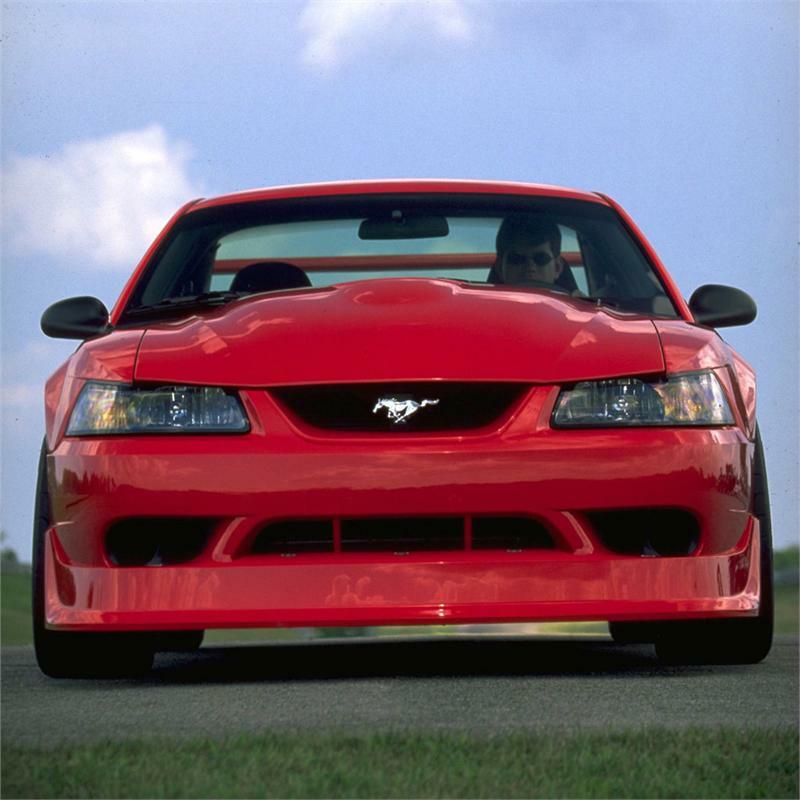 the Cobra Rs hood is 2 ¾ inches taller than the stock 1999-2004 Mustang. Made wider where the throttle body enters the intake to give under hood clearance for the Cobras intake and other aftermarket modifications. Extra under hood clearance in the front of the engine compartment helping with under hood clearance for superchargers pulleys. Made from high quality hand laid fiberglass. Our hoods are made with a tough white gel-coat surface, that resists fiber strand print through. We only use the very highest quality surface coats, better than the general purpose gel-coats that’s used by most of our competitors. 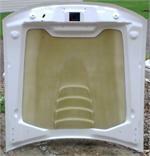 Instead of the cheap inserts placed into the fiberglass, which can be ripped out the hinge and latch. areas. H.O. Fibertrends takes the time to laminate blocks of aircraft quality aluminum into the fiberglass under structure. The hinge areas come predrilled and threaded. The latch is a sturdy aluminum piece. So when the hood arrives its ready to be installed. 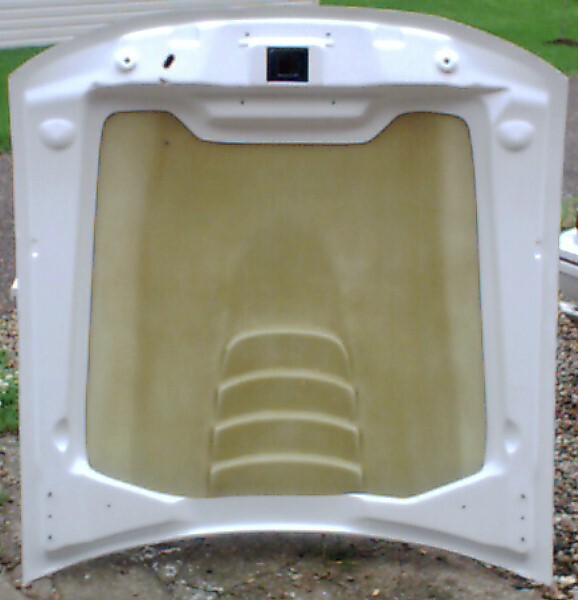 This hood comes with high quality new Sims bolts for your hinges to help make your installation quick and easy.